As both Financial Literacy Month and Financial Planning Week approach, the focus is on money management. How well do we handle our money? ABC Life Literacy Canada has put together a financial literacy program called, Money Matters. This is synchronicity at its best. The purpose of my blogs is to provide information in an understandable matter for people interested in wanting to learn and improve their money management skills. So it’s no mere coincidence that I married the two ideas. Peoples’ dreams are as important as money matters which led to the creation of my blog, Money Matters and So Do Your Dreams. In preparation to facilitate the ABC Financial Literacy program in the upcoming month, I believe this activity below is worthy to be shared with anyone willing to dare to compare. I would like you to meet Tenzin and Riley. Tenzin works hard for his money, but runs out of cash before the next paycheque. He’s not sure where all his money goes. There’s the cell phone plan, rent, cable and internet, credit cards, and of course, a guy’s got to eat. He usually grabs a bite at a sandwich place around the corner from his work, or orders take-out. He uses the bank machine at the corner store close to his place. There’s always something he needs…and the place is open night and day. Riley’s good at making money stretch. She knows how much money is coming into the family (income), and exactly where it goes (expenses). She uses coupons, comparison shops, and makes the family’s meals at home. She puts a little money aside each month for a “rainy day”, but wishes she could save more. She’d like to set aside enough by the time her kids grow up to help pay for their education, but isn’t quite sure how to go about it. One option she wants to learn more about is Registered Education Savings Plans, and the help she can get from the Canadian government to help her savings grow. What’s your story? Do you have more in common with Tenzin or Riley? What are some things that Riley does that helps her save? What are some things that Tenzin does that he could change in order to spend less? Think of examples of your spending and saving. If Tenzin is #1 and Riley #5, what number would you give to yourself? By circling the numbers 1 or 2, you are saying your money habits are more like Tenzin’s. By circling the numbers 4 or 5, you are saying your money habits are more like Riley’s. If you circle the number 3, then you are saying you equally share money habits of both Tenzin and Riley. Start a money journal. Every day for a month, keep track of everything you buy, from groceries to your daily cup of coffee and snacks. At the end of the month, use your journal to help you make or change your spending plan. More information about the financial resources offered by ABC Life Literacy can be found by clicking here. Happy Learning! Can Investing Actually Be Easy? Most people have the perception that investing is complicated. Making decisions about suitable investments, anticipating whether the markets are headed north or south, and then timing the sale to reap a profit can be overwhelming. Although there is truth in these messages, everyone’s investment strategies are different. When considering appropriate investments for you, you want to take the appropriate steps. Confucius, a philosopher, said, “What you hear, you forget. What you see, you remember. What you do, you understand.” You need to arrive at the point where you understand investing; this will only happen when you take some interest in the process. To help understand the world of investments, let’s follow a few basic steps. Making choices about the appropriate investments clearly starts with identifying your goals, dreams, and aspirations. This important step cannot be ignored. 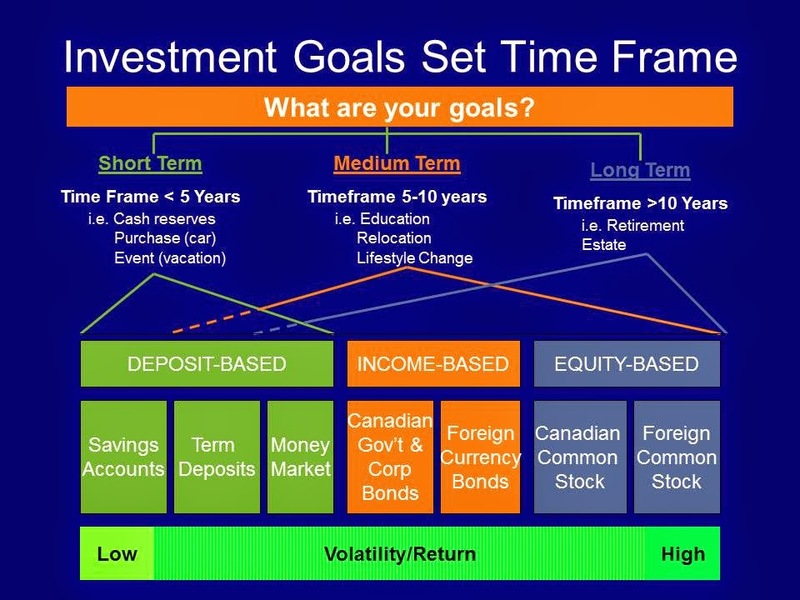 For obvious reasons, your goals will dictate the appropriate investments to align within your time horizon. Knowing when you want to accomplish something for the purpose of investing is important if you want the money to be ready when you are. Whether you are buying a new vehicle next year, planning your elaborate vacation in five years, or saving for retirement over thirty years, you must pace your investment strategy. Gradually tucking money aside for each important activity is vital, so you are not cramming to save as the deadline looms closer. Diversify, diversify, diversify! Don’t keep all your eggs in one basket! How many times have you heard that phrase? Now compare this menu to your present diet. Common sense says you should eat a balanced diet. That’s true. Yet everyones’ likes are different. You are unique. You are not like your neighbor, your best friend, or any of your family members. Therefore, you select your portion size based on your needs and health requirements. This holds true for selecting your investments. In the investment world as in your food world, your choices are the same: light, medium, and heavy stuff. Deposit-Based investments (Light Stuff) consist of savings accounts, guaranteed investments, and money market funds. These are your “liquid investments” or investments you can turn quickly into cash. When you use these types of accounts, your intention is to ensure your money remains safe and the value does not fluctuate. Income-Based investments (Medium Stuff) are also referred to as fixed income investments. These investments can be fairly liquid because they are primarily invested in government and corporate bonds. With income-based investments, you are lending your money to the government or a corporation who in turn pays you interest. Although a loss on these investments is possible, the threat is minimal. Equity-Based investments (Heavy Stuff) involve ownership in publicly traded corporations. You own a piece of these companies, either directly by purchasing common shares or indirectly through mutual fund investments. Your expectation is either to be paid dividends for your vested interest in companies or to have your investment increase in value. Do you get queasy when markets fluctuate? The ride experienced in the markets can be compared to the same ride experienced on a roller coaster: peaks and valleys, highs and lows, good and bad times! Your reaction provides a clear indication of how much risk you are willing to take with your money. How well you handle the rise and fall in the value of any investment is a measurement of risk tolerance. Choosing the percentage allocated to each investment (or asset class) is matched closely with your risk tolerance. Each investment type is gauged according to low, medium, or high risk. This in turn is linked closely to the rate of return earned at any given time in the market. When you hear, “asset allocation,” this, in essence, is what you are doing. You determine how much money you will allocate to bonds versus stocks. You determine your comfort level. You may choose to invest 100% in strictly deposit investments if your vehicle purchase occurs in a year. You may choose to invest 25% in deposit investments and 75% in income investment for your trip to Hawaii occurring in five years. You may choose to invest 20% in income investments and 80% in equity investments for your retirement occurring in thirty years. Understanding the different types of investors helps you recognize who you are so you can select the appropriate investment strategy; BUT remember you can be several investor types simply because you have different purposes for investing with different time horizons. It’s like having multiple personalities, depending on the situation, yet you are still the same person. Here are some examples of investor types with respective allocations (estimated). Determine which aligns with your investment needs. Taking an active part in your investment strategy by understanding the different types of investments will help accomplish your dreams. You need to ensure your investments are going to make your dreams a reality. There’s two parts to growing your investments. ONE: The money you put into the investment account. TWO: The money you earn on the money you invest. You do your part. The markets will do theirs in helping you build wealth to fuel your dreams. 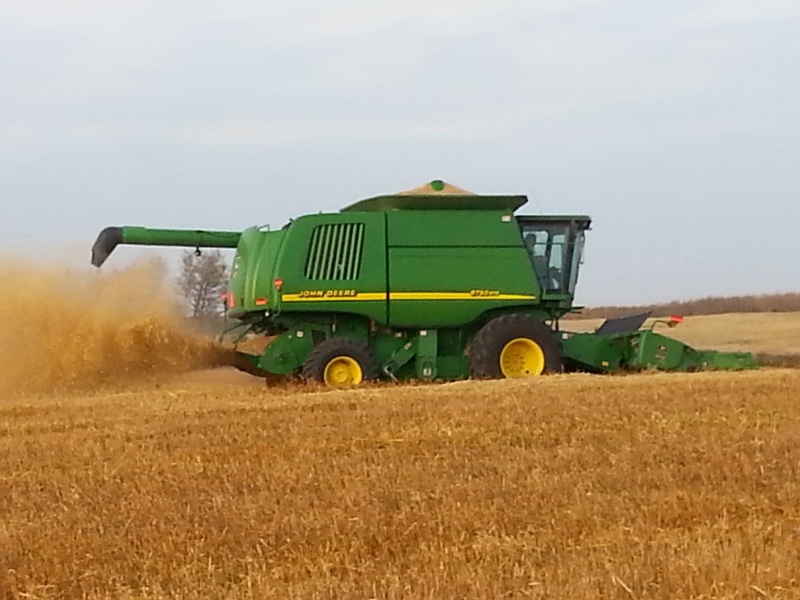 When the combine breaks down during harvest, the first thing my husband does is get the tools. Anything and everything he might need – the wrench, the gear puller, the hammer – he grabs so he can fix the combine and get it back on the field. Whether you are a mechanic, plumber, or farmer, the tools assist in analyzing and fixing the problem. Without them, you can only guess what might be wrong. You are left both helpless and hopeless in detecting the source of the problem without the necessary gadgets. There are two important tools we use to analyze our current financial situations. Now you probably have never thought of them as “tools” per se. Seeing dollars and cents scribbled on a sheet of paper simply may look like (what else?) a financial statement. A closer look from a new perspective will highlight these “dollars and cents scribblings” as valuable tools that may be used to analyze or fix any financial problem. Without them, you may only be guessing the source of your difficulties. The two important financial tools are your Net Worth and Cash Flow Statements. A Net Worth Statement is an effective measuring tool to determine if you are making progress from year to year. When your net worth continues to decline, are you accumulating more debt? When your net worth continues to increase, are you diligently investing for the future? It’s important to know whether you are winning or losing the battle of building wealth. Are you going backward or forward? When you retire, you will need to draw from your assets to support your lifestyle. We know that benefits from Old Age Security and Canada Pension Plan will not be enough. Although your home may be your greatest asset, you will not sell it at the onset of retirement. What else do you have? The Net Worth Statement is your reality check. The next important tool you need in your toolbox is a Cash Flow Statement which simply tracks “money in and money out.” How much money flows into and out of your hands? Since our focus is building wealth, the money has to come from somewhere. If it slips out of your hands quicker than you make it, then the Cash Flow Statement will show you why. This valuable tool tracks everything: your day-to-day expenses, savings, mortgage and loan payments. Since the Cash Flow Statement works with net income (income after taxes), you will not need to factor in taxes. This statement determines if any money is left at the end of the time frame you have chosen to use, be that monthly or yearly. to reduce spending in any one category of your lifestyle expenses to increase savings or reduce debt. to direct money to savings when loans are paid. to simply use your savings to pay off loans now rather than later. to determine steps necessary to make your next big purchase. 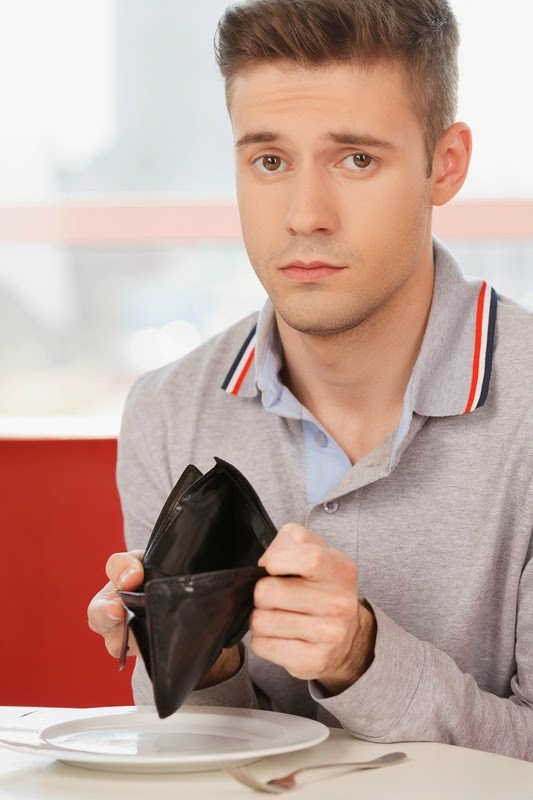 to basically show your income may need to increase to fund your savings and pay down debt. These two valuable tools are important for your benefit. Now common thinking says a Net Worth Statement is only prepared when applying for a loan. Common thinking says a Cash Flow Statement takes too much work to prepare. Common thinking says no one has time to do this. However, when you go beyond common thinking and are determined to improve your finances, you will make a habit of using these essential tools to measure your progress. You will be impressed with the results. Without these tools, you will continue to feel helpless and hopeless about truly figuring out your money problems. Since some dreams are fueled with money, these critical tools in your toolbox show how your dreams can be funded. Click the links to create both, the Net Worth Statement and Cash Flow Statement. Like other tools, a Net Worth and Cash Flow Statement, are useful for general inquiries (a maintenance check) to see that everything is running smoothly and you are on the right track. Congratulations for handling your finances well. When we always do what we have always done, it’s because we didn’t know there is a better way. Reading and applying new techniques are encouraging ways to improve our lives. When you are learning how to manage money, there is so much to know. Financial literacy programs encourage people to take control of their money. Numerous books have been written on the subject. Whether it is basic money management or complex investing skills you want to learn, this new-found knowledge can change your life. "When you give someone a book, you don't give him just paper, ink, and glue. You give him the possibility of a whole new life." – Christopher Morley. I wasn’t always a reader. Picking up a book to read was not my idea of a fun time. The only books I read then were text books. This happened to be a requirement to pass the classes. Then something profound happened. I uncovered a love for learning. My perception changed and so did my behavior. I became eager to see what authors were saying and what I could possibly learn from them. Books suddenly became valuable assets. I remember the first finance book I read, Success! The Glenn Bland Method. This book has sold 600,000 copies since it was published in 1975. 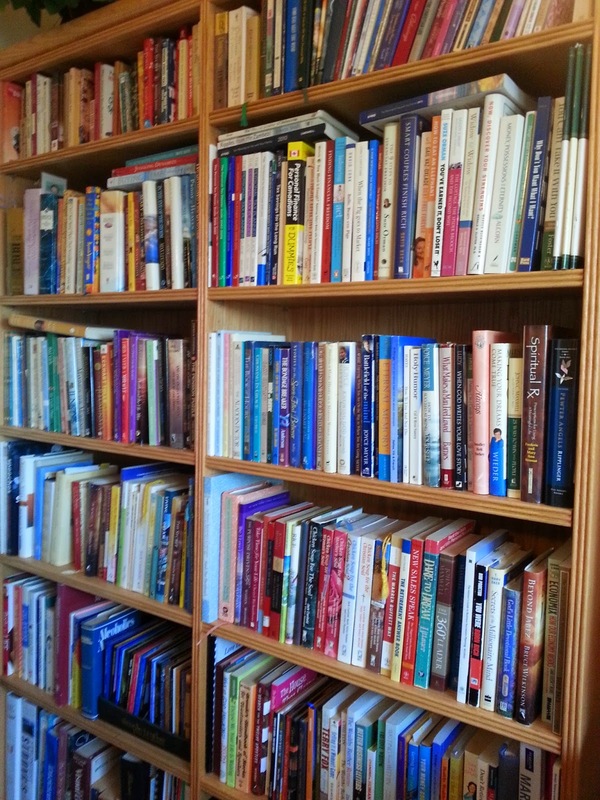 Many books like it contain a wealth of information, knowledge, and wisdom intended to improve our lives. If you are not a reader, I encourage you to become one. Books breathe inspiration, motivate you, and encourage you to take action. In Smart Couples Finish Rich, David Bach helps you determine the true purpose of money in your life. Suze Orman’s book, The 9 Steps to Financial Freedom, uncovers fears you may unknowingly have about money. There are valid reasons for seeking wisdom from these experts. You e-x-p-a-n-d your knowledge in areas where you may feel intimidated. Your new-found wisdom will build confidence within you so the possibility of a whole new life becomes a reality. For example: Gail Vaz-Oxlade says in order to have a balanced budget, you need to implement savings in addition to paying down debt. This well-known money authority teaches an action step you may not have understood or implemented. Occasionally people find their financial circumstances embarrassing so they are reluctant to speak to anyone about their financial problems. Suze Orman writes, “In our culture it’s okay to talk about therapy we’ve gone through, marital problems we’ve had, our deepest intimate secrets – but telling the truth about money, confessing our worries to our children, our parents, our friends, just isn’t done. Money is our secret both in private and in public.” If you happen to be in this type of situation, seeking solutions from financial planning books may be the first step to addressing your money problems until you feel comfortable talking with a financial planner. Another advantage of having advice in writing is you can repeatedly review the information. It’s like following a recipe. You can review what the author said multiple times until it makes sense to you. Our plan is to achieve our dreams but sometimes our dreams do not follow our plan. Life happens! Our dreams may appear to wash away simply because life takes a different turn. Because life is changing, your dreams may follow suit. A favorite quote by Marcia Wieder, author of the book, Dreams are Whispers from the Soul, says, “There are the dreams we have for our life and then there are the dreams that life has for us.” Life zigs and zags. While we’re forging ahead, we should put precautions in place. Although obstacles may stand in the way of your dreams, knowledge is powerful in terms of overcoming these obstacles. At the onset, you can start by developing a personal financial roadmap to drive your destiny. Unforeseen events can occur so the best you can do is to build “protection” into your plan. When you look at the list of Ten Financial Items Every Canadian Should Have, having insurance is one way to protect your family and you. Drafting wills and power of attorneys ensures your intentions and wishes are known. 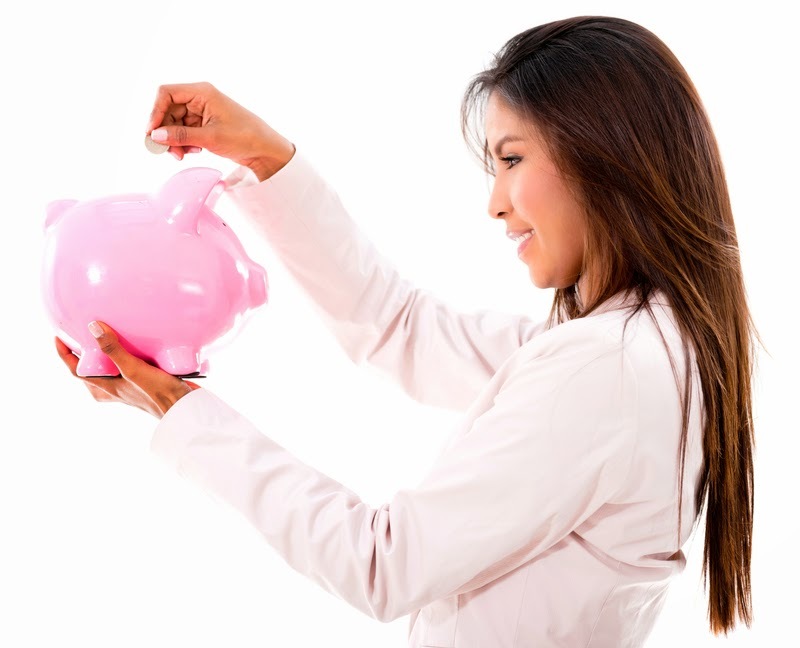 Creating emergency savings for those unexpected events will relieve financial stress. This idea of taking the above precautions is not necessarily different than other precautions you presently take. They are precautions nonetheless. You carry a spare tire, jack, and tire wrench in case your vehicle has a flat tire. You may carry a band-aide in your purse in case your children cut themselves. Before you leave your home, like my husband does, you ensure appliances are turned off to prevent an unnecessary house fire. Once you have built in safety features into your plan, then you can incorporate other strategies. These safety features, your building blocks, are like a stairway. You are making your plan sturdy to successfully reach your destination, your dreams. Every dream is possible with the right strategy. 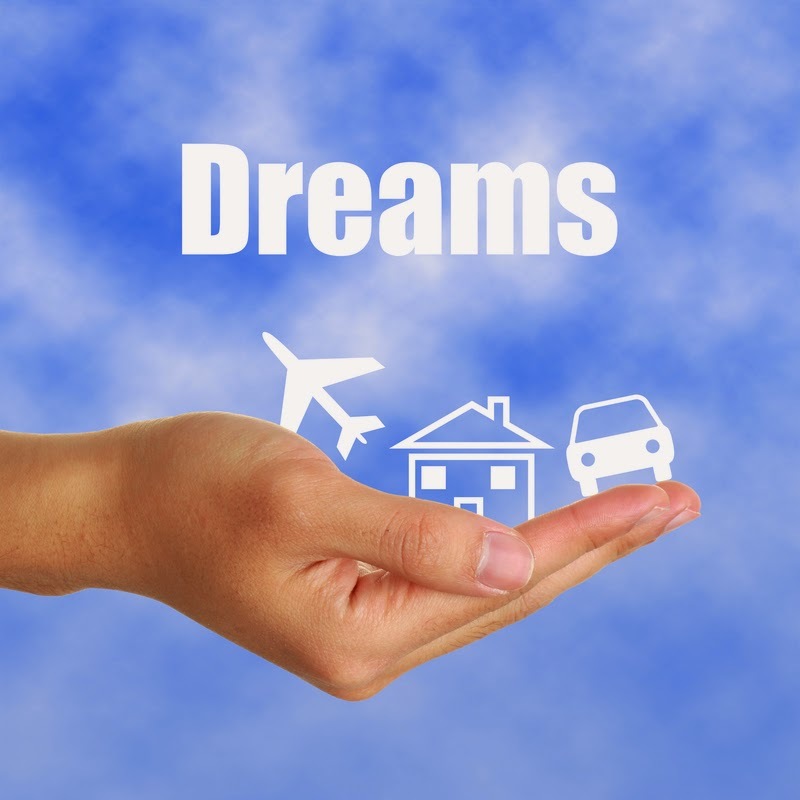 With a dream list in hand, you develop a purpose for saving and making sacrifices becomes easier. It will no longer be a “have-to” but a “want-to” strategy. You may not know how to accomplish your dream. A financial planner will be able to provide you with options to do so. You may want to further your education -- take a few courses, pursue a degree, or enroll in a certificate course. However, you are unaware of the Lifelong Learning Plan to help pursue this avenue. You may want to purchase your first home. However, you are unaware that the Home Buyer’s Plan may be an option for your down payment. You may think saving for your children’s education is a big feat. However, you may not realize the Government of Canada provides assistance with the Registered Education Savings Plan. Always believe that anything is possible if the right strategy is built to enforce your dream. Life happens so the best we can do is take care of money matters while we focus on our dreams.